If you have watched any reality television shows about house hunting, or have paid attention to real estate stories that are online, there are always people who buy a house and then end up with a nightmare. Just because a home looks like it is one of the best and most picturesque listings you have ever seen, you still need to be cautious of what it really is. Any given home could be hiding a significant number of problems just out of sight, so you need to be certain to keep the following points in mind before you purchase a new house, even if it does look like it is the house of your dreams. As Yahoo News states, the cost of a home appraisal is not that expensive, but you need to have it done. On the basis of a market valuation you might be willing to pay a certain amount of money for a home, but you also need to be aware of just how much money it actually is worth. And, while you might also be worried that you will lose the house if you make it conditional on an appraisal, then you have to remember oftentimes the banks will want some sort of appraisal done anyways to ensure that they won’t actually be giving you more money than the building is worth. The reason an appraisal is also such a good thing is because an appraisal will take into consideration everything from the comparable values or the market to also understand what your finances will be. As the appraiser looks at the house they may also even take into consideration some of the current values of the home itself, and might be mindful enough to tell you when certain aspects of the home might need to be replaced, updated, or repaired in order to get full value. The unit appraisal is a great benefit because it means you know the true value, and as you deal with the bank it also means you know exactly what numbers you are working with when it comes time to make an offer, obtain financing, or close on the house. The most important thing you have to do when it comes time to find a townhouse for sale with DDProperty is that you specify the areas you are comfortable with and know what type of environment you will actually be in. While every area is going to have their own benefits and their own problems, you just can’t afford to live in a spot where you know the hassle is too much. What if the crime is too high, the traffic and noise are too dense and loud, or even the schools aren’t that great? When you are looking for the next place to call your home and you have to understand exactly what you are getting yourself into, the one of the best things to do is find out about the area. If you are unaware of the general area, you could always continue to seek out advice by asking your realtor. After all, they should be comfortable enough with a given location to tell you what you need to know. On the other hand, you might want to be sure you are getting the up to date information straight from the source and in that case you could always just speak with the neighbors of a potential home and see what they have to say. Take all information with a grain of salt just in case they are overly happy or unsatisfied with the area, but where there is smoke there is fire and you should also be able to spot trends if multiple people have the same opinions about an area. The last thing you want to do is to move into an area where you have things surprise you, after all. While costs can absolutely change depending upon the location, the realtors, the type of loan and even the type of property, if you are looking to buy a home then you need to know the cost of the closing itself is expensive but everything leading up to it will absolutely nickel and dime you as well. The fees and taxes that are already mandated for the services you are expecting can be enough of a hit on your wallet or your purse, but when you start to think about the specifics of what else is going to start costing you then you have to know what you will be on the hook to pay. According to Fox News, the other things you should be expecting to pay when you are looking to buy are the add-ons that most people know they pay but don’t realize how quickly they add up. 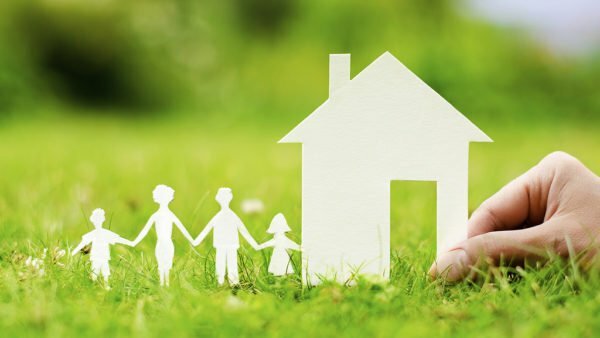 Homeowners insurance is one, and PMI can be another. You don’t even know you need to pay them until you recall how expensive they actually become. Throw in the costs of maintenance for cleaning supplies and something like a lawnmower and your expected costs are through the roof. Deciding on a house that you fall in love with will be exciting enough for anyone to want to rush through. Once you have found the unit of your dreams then why do you want to wait for anything else like specifics, fine print, or even paperwork? However, if you aren’t comfortable with the idea of making sure you know exactly what you are getting into, then perhaps home ownership isn’t for you yet.